Do you ever ponder why the nations of the world are in such turmoil today? There is a simple answer: they have forsaken God’s Law. 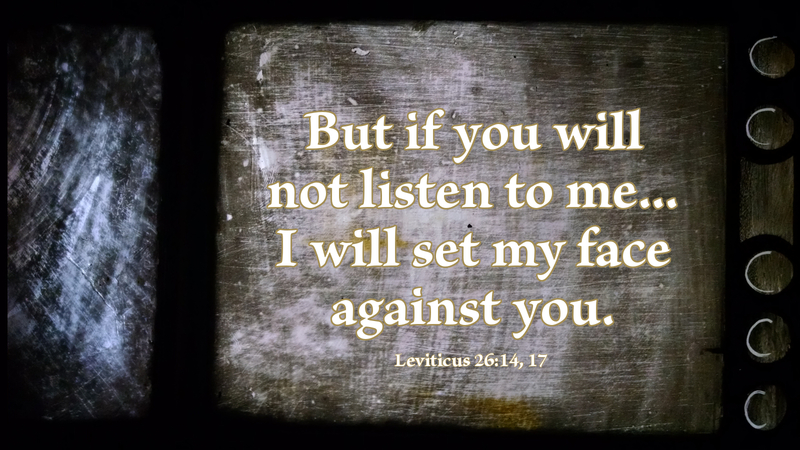 In the Leviticus passage, God tells the people of Israel he will bless them as a nation if they will obey his Law. They did not, and in the prophets Isaiah and Jeremiah, we read of their demise. Psalm 33:22 says: “Blessed is the nation whose God is the Lord.” God desires that all nations come under his domain. Paul tells us this in 1 Timothy 2 where he urges us to pray for all people, including the leaders of the nations so that all might come to believe in Jesus as their Lord and Savior. Whatever nation you live in, pray for your people and your leaders to come to know Jesus. Read and study God’s Word so that it might bear fruit in your life and the lives of others who hear and come to believe. The Bible tells us in Philippians 2:10-11, that one day everyone will bow before Jesus and acknowledge him as Lord to the glory of God the Father. For believers it will be wonderful; for non-believers it will be hell. Prayer: Almighty God, bless us, our fellow citizens, and our leaders to know and obey you that we might live in peace to the glory of your holy name. Amen. Today’s devotion was written by Carl Haynes, the Pastor of Christiana Lutheran Church in Salisbury, NC. As missionaries in the Philippines, we see a great difference in cultures from the USA to the Philippines. As a whole, even though their government is as corrupt as ours, they believe in the Holy Trinity. There is no abortion because the Catholic church fights against it. Vehicles have Bible verses written on them. The public schools ask Naomi’s Heart Mission to teach Moral Values classes, Bible Studies in the public schools with Muslims in attendance. They have not lost the focus on the importance of God in all aspects of life.